Welcome to Bridgetown, the lovely capital city of Barbados. Bridgetown is always a popular destination for both cruise ship passengers and resort vacationers. The weather is warm and sunny days are often so you know we'll have plenty of excursions for you that will help make your visit memorable. Your Bridgetown port is located along Carlisle Bay and is on the southwestern end of the island. Recently independent from British rule that lasted for over 300 years, Barbados became an independent commonwealth in 1966 and tourism is an enhanced and pleasurable experience. In fact, US dollars are accepted just about anywhere, which will make the visit easier for many. Round trip transportation from your Bridgetown cruise terminal! Guided snorkeling to see shipwreck, sea turtles and more! Great snorkeling opportunity with small groups, personalized service. Enjoy Carlisle Bay with 5 shipwrecks, turtles, fish, and more! English speaking and entertaining pirates! 2 Swim/Snorkel Sites with shipwrecks, turtles, tropical fish! Famous Jolly Roger Pirate Boat Shore Excursion fun! Lunch and Open National Bar (including the famous Jolly Roger Rum Punch)! Music, dancing, fun times onboard! 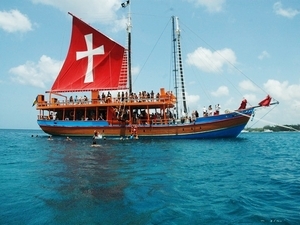 All-Inclusive Pirate Boat Cruise Excursion in Barbados! Entertaining fun, great snorkeling, shipwrecks, fish and turtles, lunch and open bar included, and round-trip transportation! Entrance fee to Harrison's Cave! Tram ride and guided visit through the cave! A great tour for all ages. 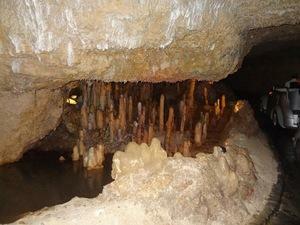 See Harrison Cave, a natural cavern filled with stalagmites, crystal formations, all from a tram. Guided snorkel excursion from boat to shipwreck! 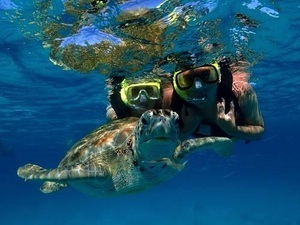 Guided swim with the turtles! Snorkel set includes sanitized snorkel, silicone mask, and vest! Lounge chair and umbrella at beach and use of facilities! Sightseeing on way through Bridgetown! One of the best snorkeling locations in Barbados! 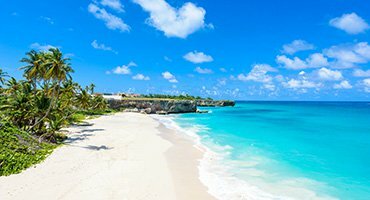 One of the best beaches in Barbados! Combine a relaxing day in Barbados at the beautiful Copacabana Beach with an exciting swim with turtles and snorkel at a shipwreck! Enjoy your excursion! Round trip transportation from the Bridgetown cruise terminal! English speaking certified guides and snorkel guides! Fun catamaran sailing and snorkeling! Barbadian-style lunch and open bar! 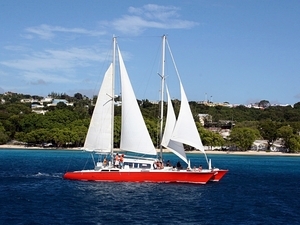 Kick off your shoes and get ready to enjoy a day on this Barbados Sailing Cruise excursion aboard one of our fun catamarans. 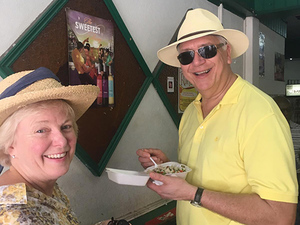 Sightseeing highlights - Bridgetown, Garrison, Miami Beach, Foul Bay, Codrington College, St. John's Church, Bathsheba, view of Morgan Lewis Windmill, Aminal Flower Cave restaurant, North Point, Speightstown, and Holetown! See many of the major island sights and highlights when you go coast to coast on this Beautiful Barbados excursion. Lunch is included too! Sightseeing highlights - Harrison Cave Tram, Wechman Hall Gully, Carlisle Bay Beach, and glass bottom boat trip to swim and snorkel with sea turtles! Enjoy the best that Barbados has to offer! Visit a wildlife reserve, taste local cuisine, explore Harrison’s Cave, go for a boat ride, swim with sea turtles and then enjoy free time on the beach with all the amenities. 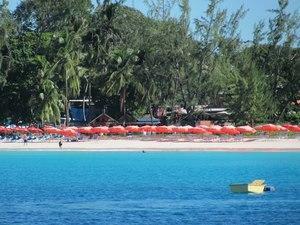 Rated as the best-guided walking cruise excursion in Barbados! Get to see and feel famous Bridgetown! 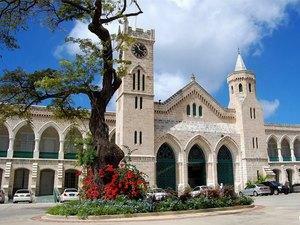 See all the interesting, historical sights of Bridgetown Barbados on a guided walking cruise excursion. See downtown and enjoy lunch too! Sightseeing - Flower Forest or Hunte's Garden, Cattlewash, and Bathsheba, Barbados Wildlife Reserve, Harrison Cave! See the best of what Mother Nature has to offer in Barbados - see Harrison Cave by tram, Flower Forrest or Hunte's Garden, Barbados Wildlife Reserve, Bathsheba, sightseeing, and lunch too! 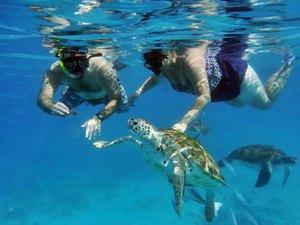 Guided swim/snorkel with the turtles from a glass bottom boat! Use of facilities for beach time! Lunch time at Copacabana Beach! Sightseeing - Cherry Tree Hill, Morgan Lewis Windmill, Cattlewash and Bathsheba, St. John's Church, Gun Hill scenic views! See some of the most famous highlights and sights on a guided island excursion. Enjoy a Bajan lunch then swim with the sea turtles at Carlisle Bay! Beach time on Carlisle Bay! One complimentary drink upon your arrival to Carlisle Bay! Lounge chair and umbrella and use of facilities! East Coastline scenic and stop-by sightseeing - Cherry Tree Hill, Morgan Lewis Windmill, Cattlewash, Bathsheba, St Johns Church, Garrison! 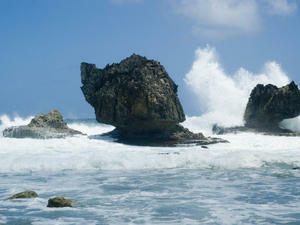 Enjoy a combination excursion of Barbados Island East Coast highlights and a relaxing beach break stay on Carlisle Bay. 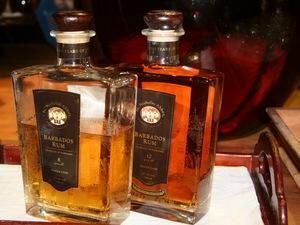 Rum tasting and one complimentary drink! All entrance fees - Hunte's Gardens and St. Nicholas Abbey! 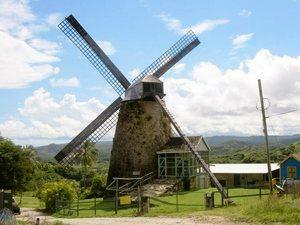 Sightseeing of Hunte's Gardens, Bathsheba, Morgan Lewis Windmill, Cherry Tree Hill, and St. Nicholas Abbey! 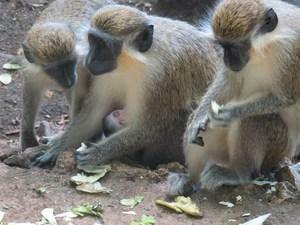 A great half day excursion to explore Little England as Barbados was once called and some of its highlights. 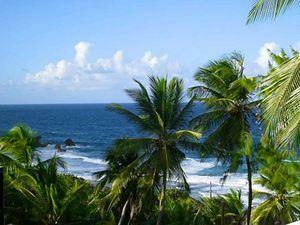 Hunte's Gardens, Bathsheba, the Abbey and rum tasting! Enjoy a 2, 4 or 6-hour stay at the beach. Welcome drink, umbrella and beach lounge chair included. Round trip transportation too!